The Iranian parliament, Majlis, today voted to ban IAEA inspectors from accessing military installations suspected of nuclear weapons-related work “at will.” The bill was approved by a vote of 199-14. The bill must now be ratified by the Guardian Council. The bone of contention is the inclusion of IAEA’s so-called Additional Protocol in JCPOA, the final nuclear deal. 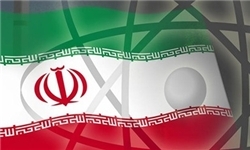 The additional protocol would require Iran to allow inspectors access to installations suspected of being a “non-declared” nuclear site, including such installations within a military base, like Parchin. But today's action by the Majlis would not allow access on the basis of “anywhere, anytime.” The Majlis did not address the issue of arbitration if Iran refuses an IAEA request for inspection of a suspected site. The bill might become a stumbling block on the way to signing the final nuclear deal between Iran and major world powers, the Russian broadcaster RT reported today. Lets not kid ourselves.The IRI must allow the IAEA access to military sites. Why? Because they know if they don't sanctions will be increased. The survival of the regime is more imported to them than the survival of Iran,period. I think that issue of inspection by the "IAEA" and release of prisoners can be traded, if the domestic population supporting the Islamic Republic, will be compensated first, for misdeeds and genocide inflicted on them by the Us and West, which overthrew democratically elected government in 1953. helped S. Hussein to kill Iranian and Shia population, helped to kill Iranian scientists as well as to carry out sabotages against Iranian population and its economical development !!! I am sorry, but I have a hard time when commentators, who probably do not know much about the iranian history, bring up the issue of 1953 U.S.and British-sponsored coup against Mossadeq as a major reason for the Islamic Republic's anti-West stands. The founder of the Islamic Republic, Imam Khomeini, was a student and follower of Grand Ayatollah Kashani, the Shia spiritual leader during the time of the coup. Kashani and his followers, including Khomeini, sided with the Shah against Mossadeq, believing that Prime Minister Mossadeq's government was to pave the way for Socialists and Communists in Iran. You can not come back some sixty years later saying the U.S. sponsorship of the coup was a major reason for the anti-U.S. stands of the Islamic Republic, whose founders took side with all reactionaries in Iran against Mossadeq when it mattered the most. So let's not put that "excuse" along with 8-year Iran-Iraq War or killings of the nuclear scientists. Of course progressive people do have issue with the U.S. for siding against Mossadeq. Khomeini and his followers are not among them. Iran should just test a nuke and let the chips fall where they may. If US pathetic military performance in Iraq is any barometer, Iran has nothing to worry about! Each AP is negotiated between a state and the IAEA. Iran has said from get-go they will not provide access to military sites. This position by Iran's parliament is an expected development. Hopefully this is not a deal breaker. Parchin seems to be the place of most interest to the west. A lot of what I've read has suggested this is the most likely place where any possible nuclear warhead development would have taken place. Maybe we are at a point where Iran will have to confess or prove them wrong. Either way a deal must go through and as long as Parchin can be verified as not continuing such development. Iran's conventional armaments industry and space program should be left to develop unhindered as is Israels, Saudia Arabia, Pakistan, Turkey, India, China, Brazil, Russia...... Just like the Barbarians in Western Europe and North America. Something needs to civilize this world again. Shouldn't need to take a conflagration and pandemic if we've come anywhere in the last hundred years. Agreements are good things! Thought it worth mentioning that President Obama did make (in American domestic political term's) a very public and in some way significant acknowledgement regarding 1953. I'm with you Mr Uskowi. All the history cannot always be read as an unbroken narrative. Times do change. Hopefully we won't have to wait as long till President Hillary acknowledges people like Donald Rumsfeld don't all but personally deliver chemical weapons spores, then comes back looking for them 16 years later anymore. Not this day and age surely? "which overthrew democratically elected government in 1953." Why after sixty two long years some people are still kidding themselves that Iran was a democracy like Holland and then the "evil shah" was parachuted down and turned it into a feudal state? First of all,Mossadeq was not "democratically elected",but selected by the Shah and opproved by parliament. Lets not forget that in Iran at that time and during 1979 mullahs could easily bring out their flock into the streets.Nineteen seventy nine was the reverse of nineteen fifty three when by this time Akhoonds sided against the monarchy. Back then I supported Prime minister Bakhtiar who was betrayed by coat hanger generals like Fardoust and Gharehbaghi. Out of curiosity I too came out into the streets to watch this new show in town.But soon realized that having these Akhoonds in power will be the end of Iran as we knew it. And this is why I and many other dear friends that I knew at that time decided to side with common sense of prime minister Bakhtiar and his team. History has proven Bakhtiar correct when he said,"Akhoonds and their lies is far worse than the military jackboot." "The additional protocol would require Iran to allow inspectors access to installations suspected of being a “non-declared” nuclear site, including such installations within a military base"